It is one thing to walk out of a salon with gorgeous, straight hair, and another to step out of the house every day with the same salon-gorgeous look. Thanks to TRESemmé Keratin Smooth, you can now #ControlYourFrizz with the same salon results, in the comforts of your own home. TRESemmé Keratin Smooth is equipped with keratin-infused formula, that controls frizz for up to 48 hours. It smoothens locks and makes them softer, shinier, and straighter without weighing it down. Thus, making it easier to create any salon-gorgeous style from home. Each product in the TRESemmé Keratin Smooth line is made to give you the smooth and straight hair of your dreams for longer! Salon expert and newest TRESemmé hair professional Henri Calayag attests to the superiority of the TRESemmé Keratin Smooth formula that locks hair into place and fights frizz to keep hair smooth and straight throughout the day. The TRESemmé Keratin Smooth line is his best bet for extending the gorgeous effect of your salon treatment. 1. Use TRESemmé Keratin Smooth Shampoo, as it cleanses the hair and scalp. 2. 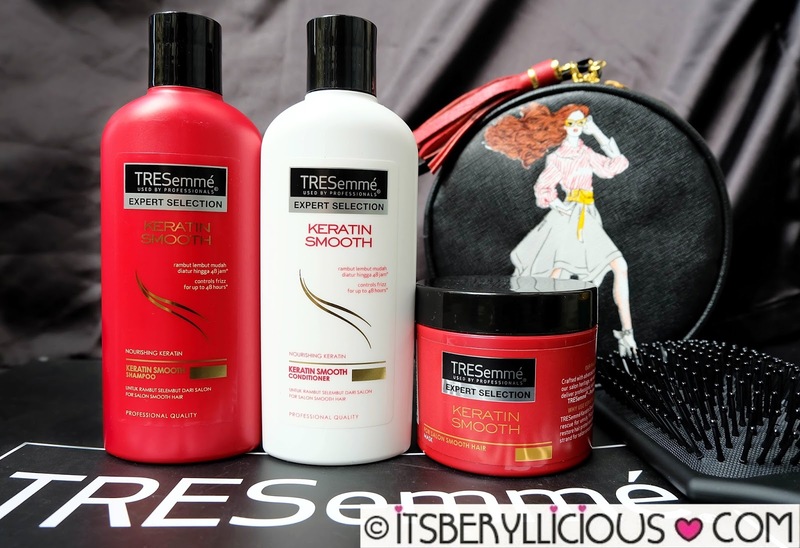 Follow with TRESemmé Keratin Smooth Conditioner to lock in your smooth, straight hair into place. 3. For maintenance, try the TRESemmé Keratin Smooth Treatment Mask as it intensely replenishes each strand with keratin and makes sure you control your frizz! 4. Seal the deal with the TRESemmé Keratin Smooth Heat Activated Treatment, which locks in extra shine, and provides smoothening effects. 5. If you’re styling your hair for a special day, use the TRESemmé Keratin Smooth Flat Iron Spray, which acts as added protection from heat styling tools.